As the title mentioned, the hotel is located right in the middle of the Las Vegas strip, so getting around and generally finding food was so easy. The only downside was the breakfast, which is cereal, bread, and some glazed donuts as options. Other Wydham properties usually offer some eggs, sausages, and yogurt, but other than that, the staff was tremendously helpful and friendly. Right on the strip and near bellagio. 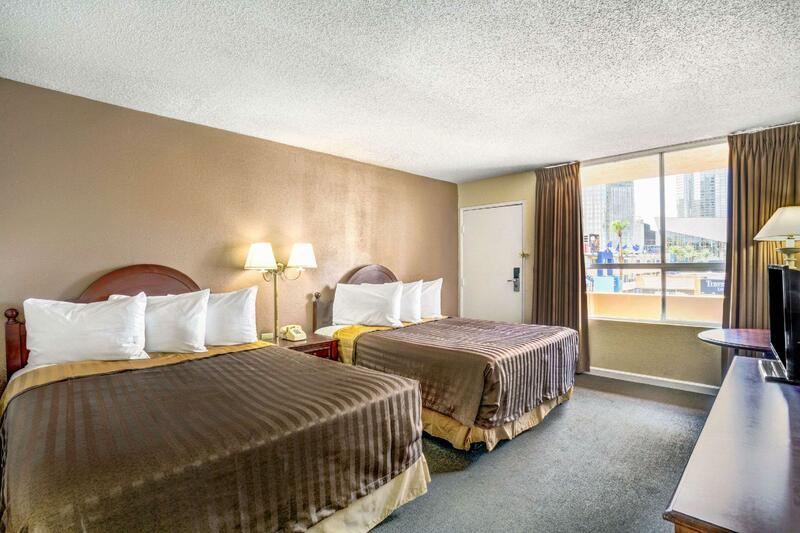 Walking distance to all the big casinos and attractions. Amazing location for the price. Looks budget and a bit like a scene from an American horror movie... but has everything you need. Would definitely go back as you hardly spend any time in the room. Clean and spacious. Couldn't ask for a better location. I feel that breakfast can end a little later as it currently ends at 9am (regardless of the people inside, they will start keeping the breakfast stuff at 9am sharp.). However, not a good place for luggage storage. Asked 3 different staffs about their luggage storage policy and was given 3 different answers. As i was staying a night in Grand Canyon and returning back to travelodge the night after, i was initially told that it is possible for only one luggage per room(a room for 4 people and only 1 luggage can be kept???). I then asked again when i went to book for the nights after grand canyon, i was told that keeping the luggages there should not be a problem if i were to return back to travelodge. On the last time, i was told that all luggages cannot be stored overnight, even if i was going to return back to travelodge the day after. This particular staff was a little unfriendly and was not willing to offer any suggestions to my predicament(4 big luggages with several small bags). We spent one night here. Location was right on the strip. The hotel was run down and in need of refurbishment. The free breakfast included a bag with an apple, crackers, and a bottle of water. Parking was free. Although not the best place in Vegas, we would probably stay again. Room is dirty and towel are not clean. You have to wait for table or just grab and go. They use hotel room as place for breakfast which small and bad smell inside. Sometime you have to wait fir there staff to refill fruits even they saw it ran out. Pros- the location was great. There was very little breakfast options, but it was nice to have something. Cons- the carpet was so dirty that it turned our feet black. We had to put shoes on as soon as we stept out of the shower or our feet were visibly dirty again. Ok I choose this hotel cause it's the cheapest and closes to PH where my event is, its good cause it's in the heart of the strip and there's no resort fee, but really needs improvement, like the shower and the housekeeping, I will comeback for sure. Perfect location 5 mins walk from Belagio. Room was clean, and refreshed every day. We didn't have time to use the pool but it looked clean and inviting. The staff were very friendly, helpful and professional. I would definitely stay here again, for the price it's a no brainer! Great value for money i.e. no resort fess!! Can be a bit nosiy early morning because of the garbage collectors but remember it's an open hotel bang in the center of Las Vegas. Another thing is that Uber won't/can't pick up directly from the hotel. 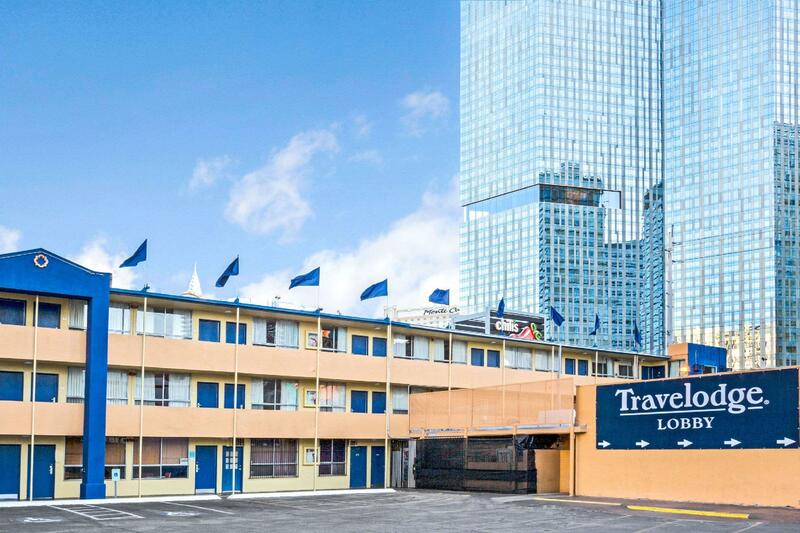 Location is excellent, right on the strip, which is why we picked it. Even though it was right on the strip, it was quiet. Free parking. Hotel is a little dated, but clean. We don't spend much time in our room, so not a big deal for us. No outgoing calls could be made from the room phones though. Free Wifi. Continental breakfast was good, only available from 6-9am though, a little longer would be nice. Mini fridges in the rooms. 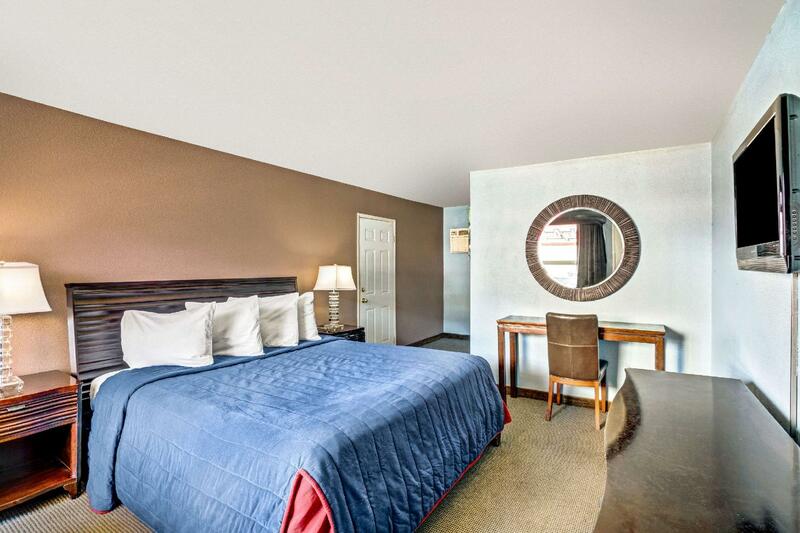 Microwaves and laundry facilities are available in the same room as the breakfast, which you have access to until 9pm. We would stay there again. The location is excellent! We were allowed to check in early. The only thing is that the hotel required payment for the use of the safe which I find ridiculous! No bottled water were provided. The breakfast room is so small that we barely fit in it with all the guest eating during breakfast. Basic family motel in the middle of high rise casinos. No one will chase you to buy show tickets, and you don't need to drive around for hours looking for parking cos it's right outside your unit. Staff were great, free breakfast, plenty of security patrolling the site. Small pool with palm trees and chairs. If I go to Vegas again, I will definitely return here. Room is not perfectly clean, very bad smell of cheap air fresher, everything need renovation. Breakfast is very simple (try to avoid to say poor). But for the price plus the location it wasn't bad at all. I love this kind of place. Unfortunately it's great location means it's days are probably numbered. Enjoy it while you have a chance. 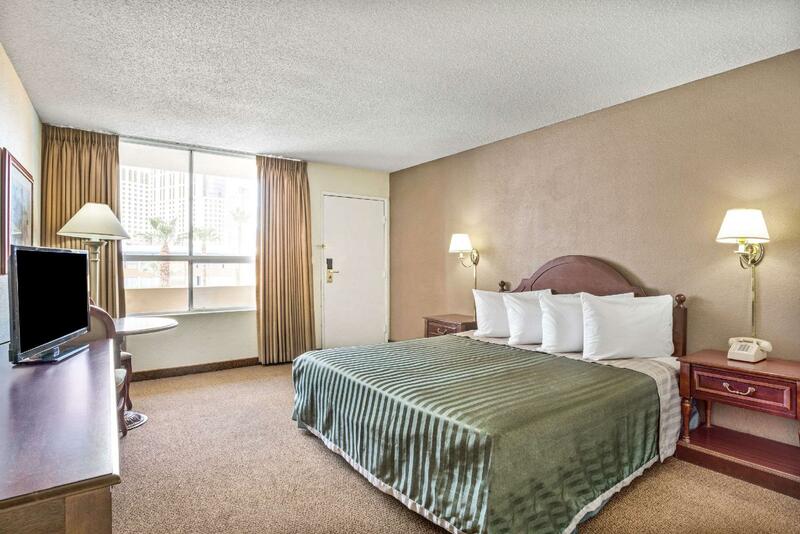 สถานีรถไฟโมโนเรล MGM Grand - ระยะ 0.62 กม.